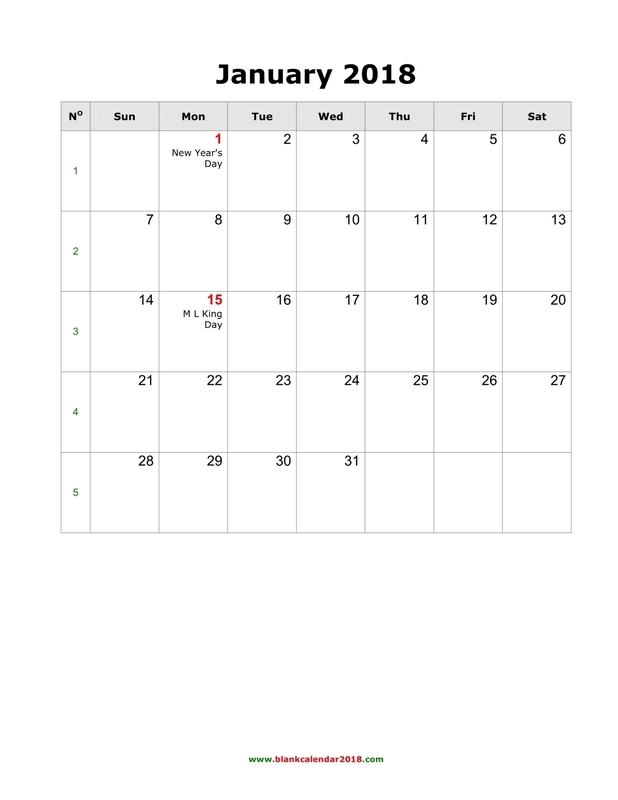 Can we have two calendar of Sept and October with Weeks on them. Thank You! Hope friends and Families having a great day together and a very nice gathering at the Dinner Table. Have a great Labour Day whom ever may need to work and the rest of us will work hard with you. 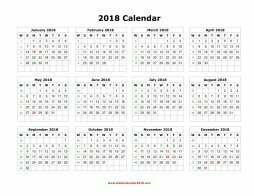 Would you have calendar for Sept and August for me. After Holiday is perfectly fine. Your time is appreciate it . Have an aswome Labour Day! 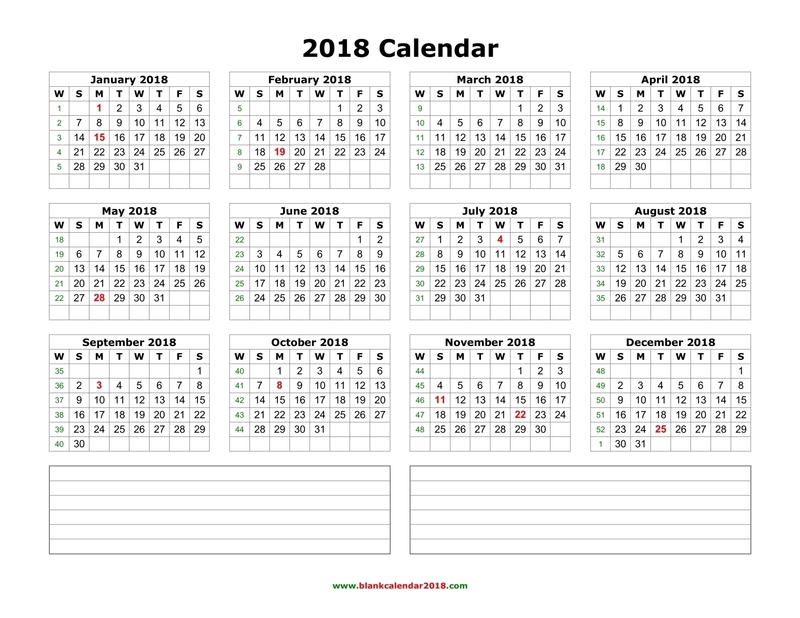 Is it possible to get a 2018 and 2019 calendar with lines on each day? 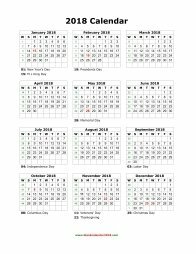 Hi - can you do a printable 3 month view calendar with weeks numbered? This is the best! 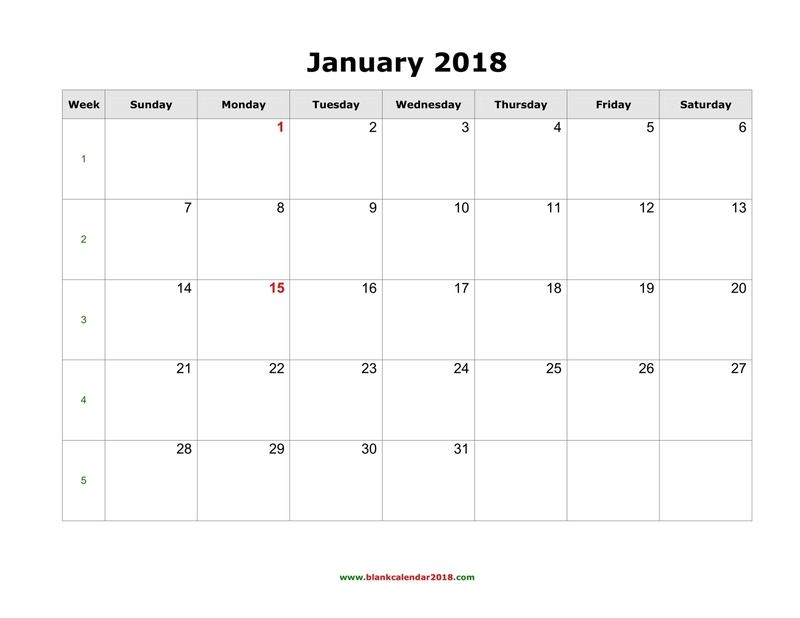 Great per month format. Easy to use website. No downloading! Thanks so much for this. 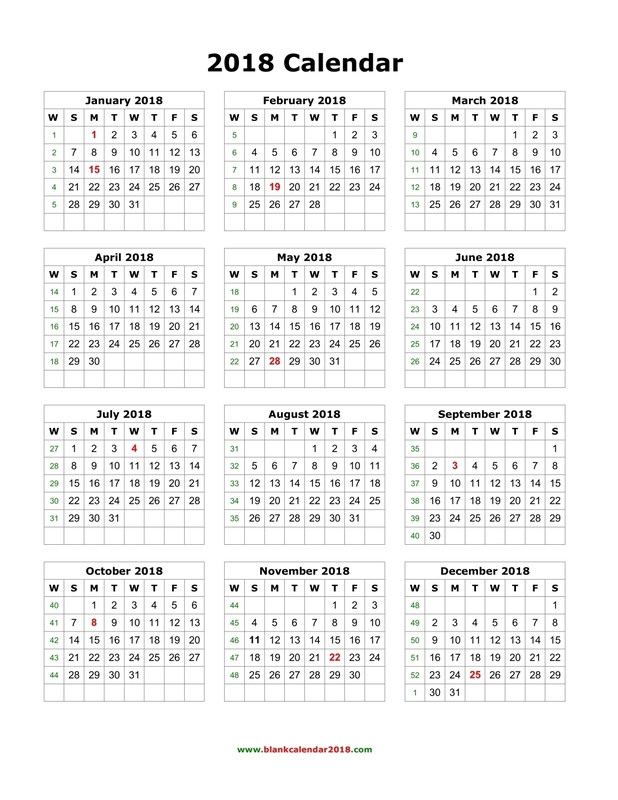 Is it possible to have these calendars starting the week on Monday with the week number also? very nice, great design and clean!! thanks!! Thanks a lot for this great resource. It is easy to use. Thanks again! 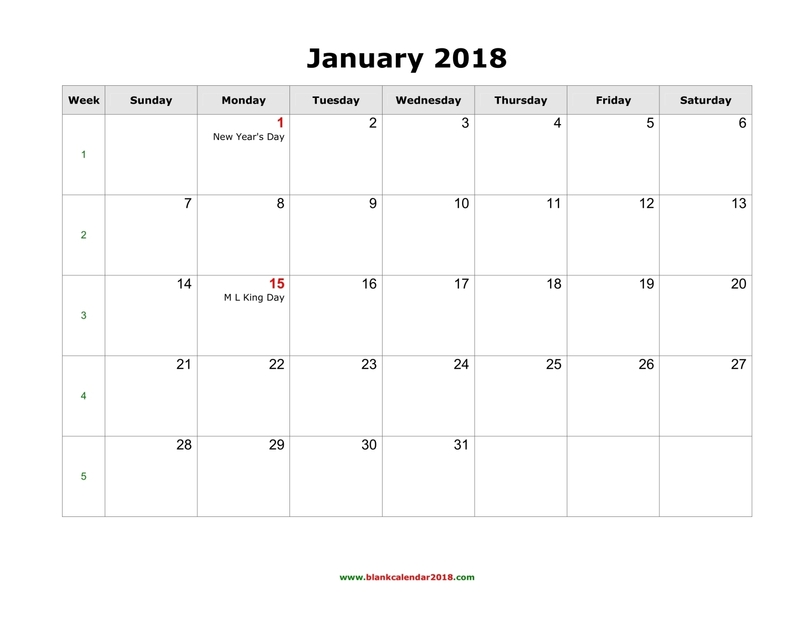 These calendars are great. Thanks a lot. 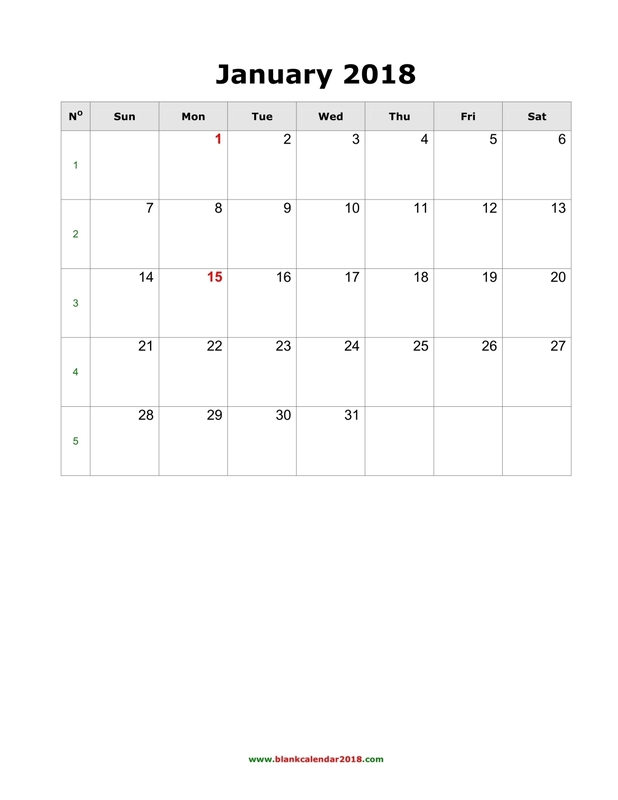 However, would it be possible to add a calendar (or an option) where the weeks starts on Monday, as per Swedish standard? Can you add a template or option to start the week on a Monday please (UK standard)? Hi. 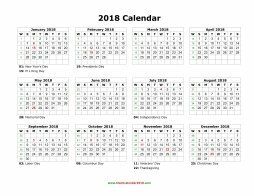 Your 2018 Word is so good I would like to start the 2019 calendar. When will it be available please. 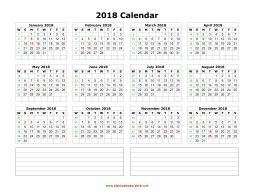 Can u also share 2019 calendar? 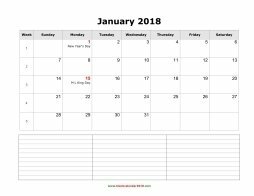 BTW I really need printable calendar 2018. Thanks for it. 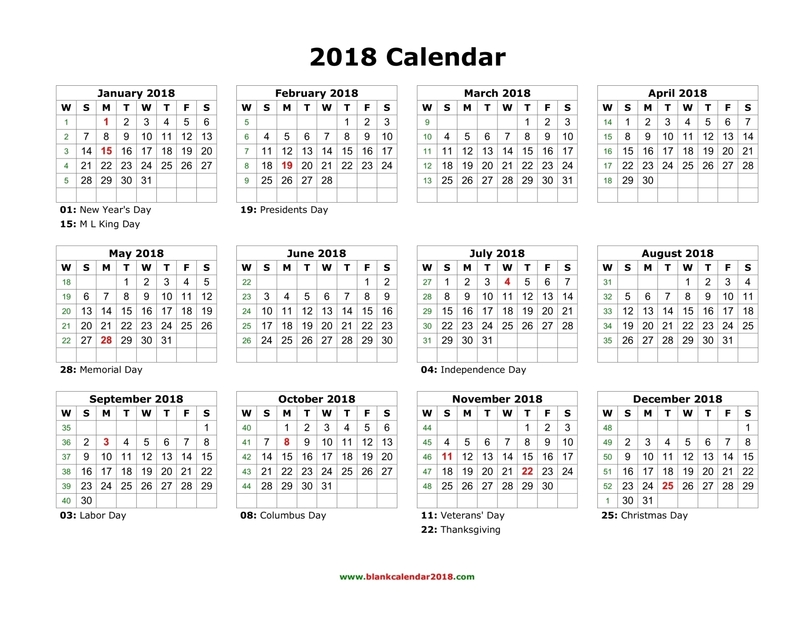 When will the 2019 calendar be made available? How can I change this so that everything is in Spanish: enero etc. including the numbers: uno, dos? 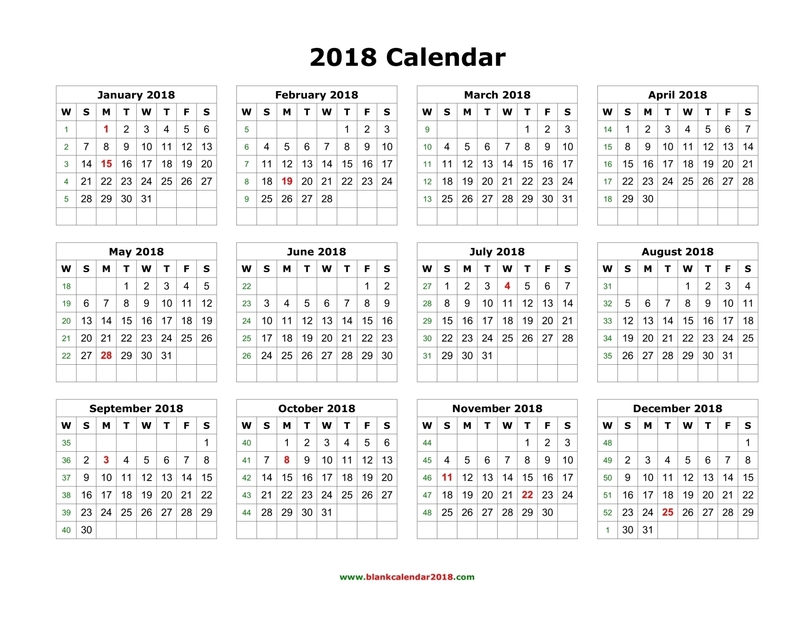 When is the page for 2019 being created please? 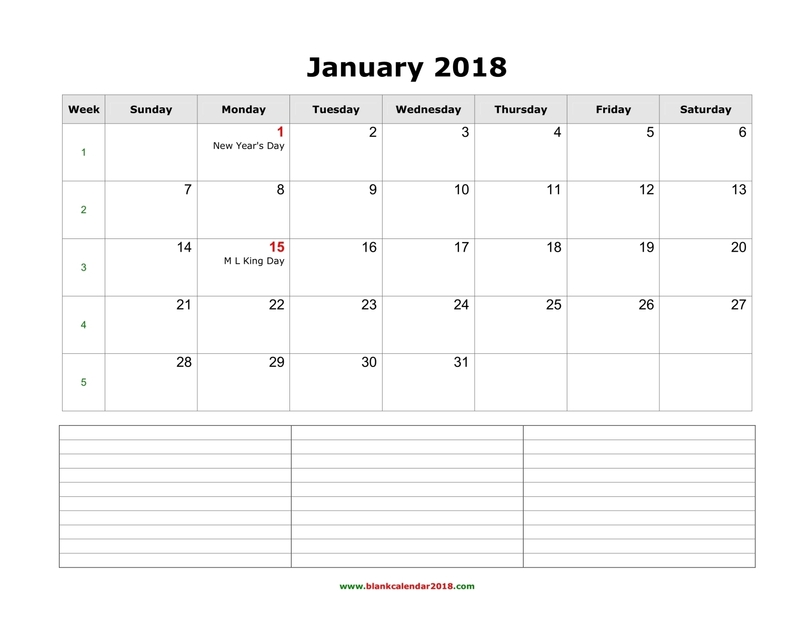 How do we get the year calendar without the weeks number on the calendar? Thank you so much! 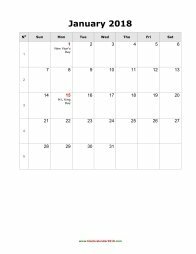 I used your calendar printout for last year, and I'll be using them again this year. Thank you! 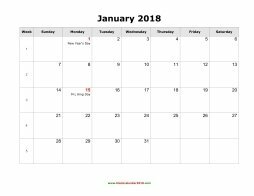 Love your 2017 and 2018 calendars! Will you be offering any for 2019 as well? Thank you for sharing this great resource with the rest of the world! it is easy to use, and print. Electronic and hard copies are clear and well formatted. 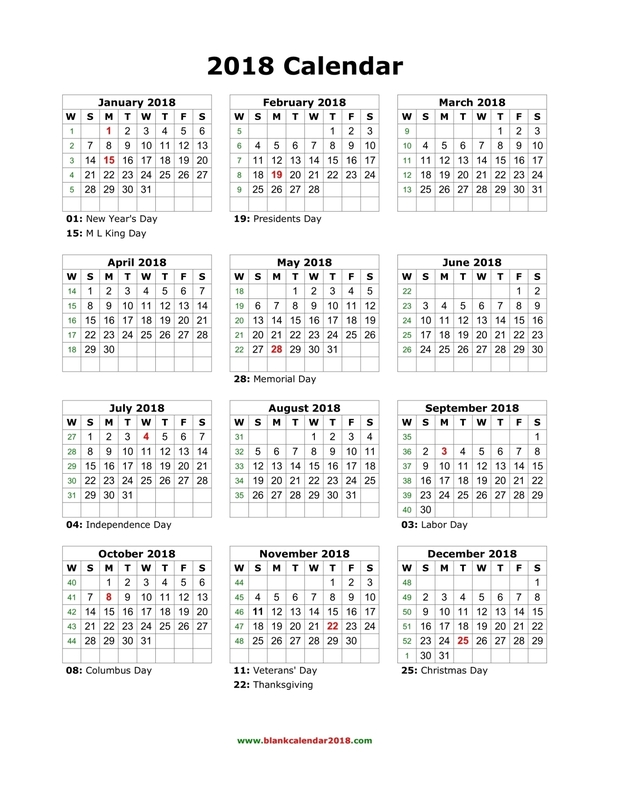 I bookmarked this page and plan to come back year after year. Your product is awesome!!! 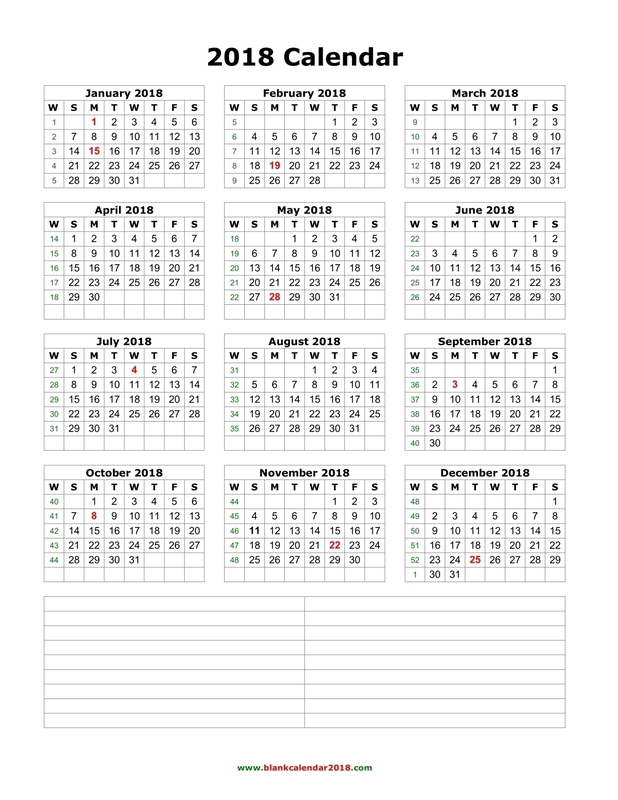 Thank you for this printable blank calendar. 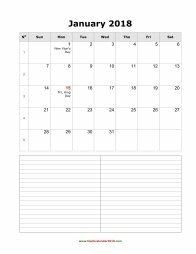 Very simple and easy to be filled-in. Very useful! 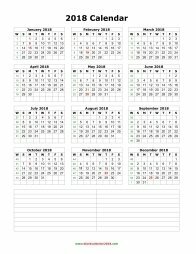 I used the first Blank one and used it to note Paydays, pay periods & Holidays for my employees to have at their desk. Thank you for this resource. 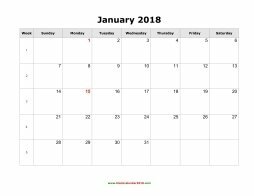 I have been using your calendars going on 2 years and they make things very simple for me. 5 stars to you!! 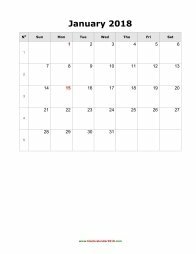 Many thanks for producing a blank calendar template in Word. 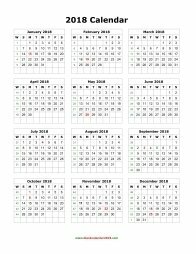 My annual task producing this document was simplicity itself this year.